You may have heard the advice, “eat protein at every meal”. But with so much conflicting nutrition information out there, is this good advice? What will happen if you don’t eat protein at every meal? And what happens if you are not someone who likes to munch on eggs or meat at breakfast time? This is something I have been struggling with lately. I prefer a sweet breakfast over savory, which makes it hard to get enough protein. I often eat oatmeal, but by 10am my stomach is rumbling and I need breakfast all over again. That is why I started making these peanut butter banana custard oats. 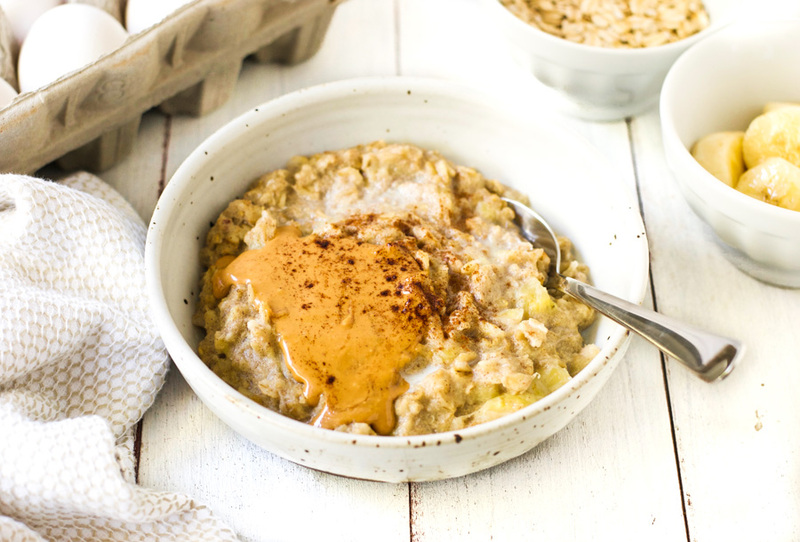 The difference between these oats and normal oatmeal is the addition of an egg. I know it sounds strange, but the egg mixes in and adds creaminess to the texture and protein to the recipe. Protein is an extremely important nutrient. It carries out a wide range of essential functions in the body. They include building muscle, hair, skin, and bones, supporting the immune system, transporting compounds around the body, and initiating important chemical reactions. It makes hormones and helps regulate blood sugar. Protein also influences hunger and satiety hormones, helping to keep you feeling full for longer. The problem with protein is that the body can only absorb a certain amount at one time, usually around 30 grams. As a result, it is a good idea to spread your protein intake throughout the day by adding it to every meal. 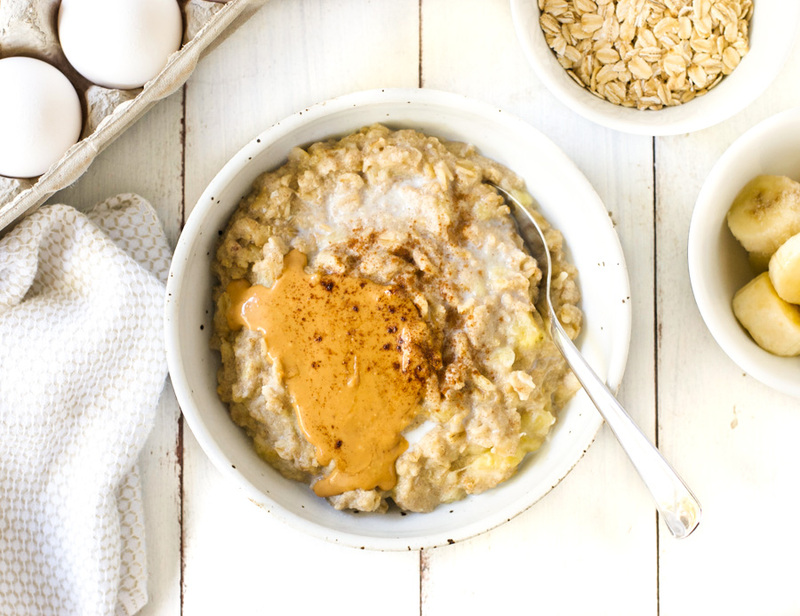 These custard oats are a great way of adding protein (and 40% of your daily fiber needs) to your morning. What sources of protein do you like eating for breakfast? 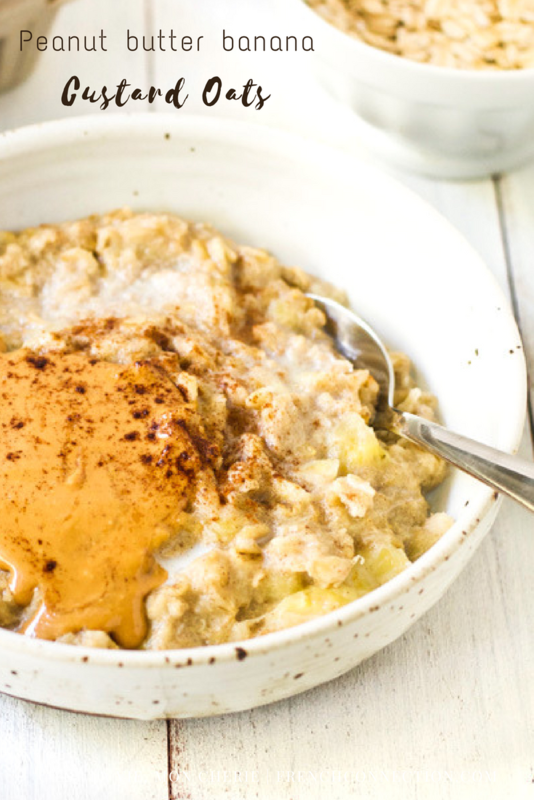 Put the oats, water, cinnamon, and egg in a bowl and whisk together. Add the banana and mash it into the mixture with a fork. Pour the mixture into a small pan with a lid. Put the pan over a medium high heat to bring to the boil. Then turn the heat to low, cover, and simmer for 7 minutes, or until the oats are cooked. Stir occasionally and if it is starting to stick, add a tablespoon of water. Once cooked, remove from the heat, and serve in a bowl with a splash of milk and a tablespoon of peanut butter. This was delicious! Topped with chia seeds and a few raspberries. Beautiful site, Esther! If I use instant oatmeal, how much water do I need?